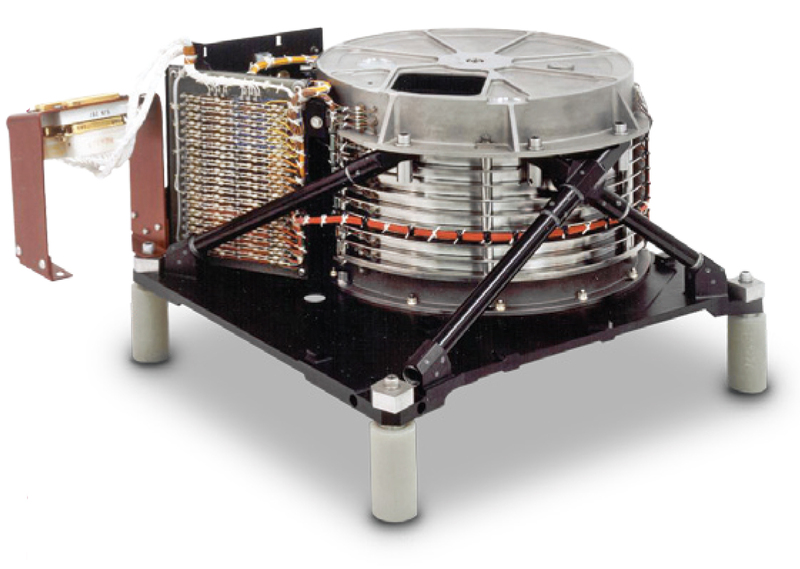 The Selectable Optical Filter Assembly (SOFA) was designed specifically for the Hubble Space Telescope (HST) Wide Field Planetary Camera. The design is a unique concept and has subsequently been used on several other missions, such as Cassini. The Moog design proved to be significantly lighter than originally specified, and very simple in concept. The unit consists of 12 separate rotor/stator motor combinations. Each rotor assembly carries 4 filters and one open aperture, providing 48 total filters and many possible filter combinations. The unit features redundant ball bearings, and dry film lubrication throughout. The electronic control unit tracked the angular position of each filter wheel by counting steps from a home position sensor located on each rotor assembly. Since the rotor assemblies are not caged for launch, upon initialization the ECU rotates each filter wheel until the home position sensor is located. The unit has operated flawlessly while on orbit. Moog engineers were given the unique opportunity to examine one of the SOFA units after several years on orbit. The unit was found to be in excellent condition and recertified for flight. The Fine Guidance Systems FWA is located in the optical path. 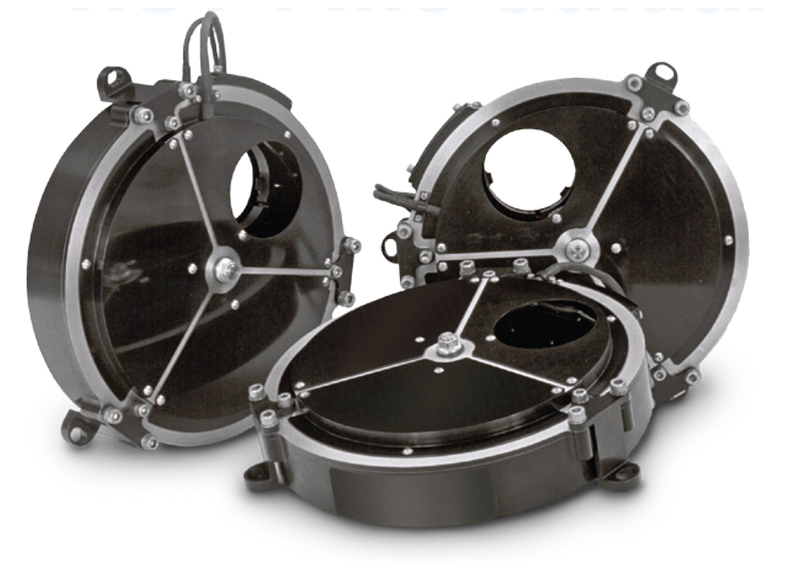 The FWA assembly consists of a wheel bearing five filters with 2.0 inch diameter clear aperture. These filters are used to minimize the lateral color effects in the FGS astrometer. The Cassini Narrow Field FWA housed 24 filters on two disks each having 12 filters with 1.15 inch diameter clear aperture. The Wide Field FWA housed 18 filters on two disks each bearing 9 filters with 1.55 inch diameter clear aperture. 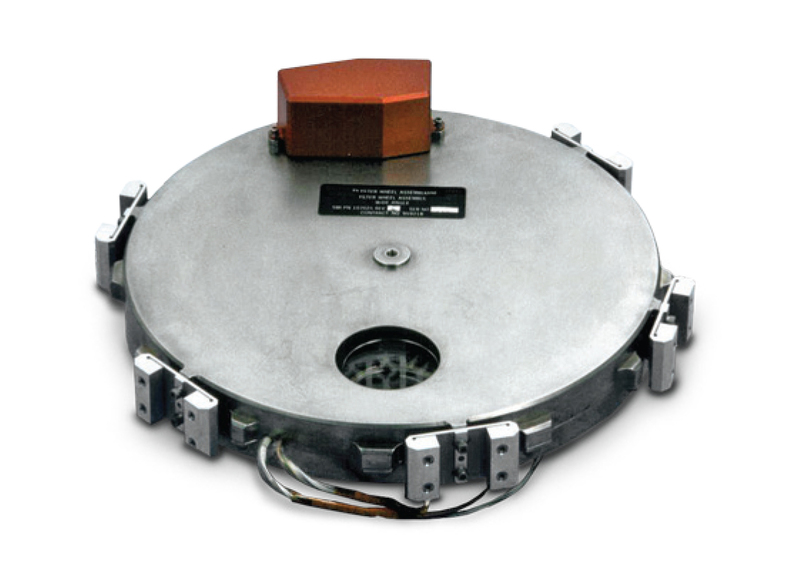 Both units are driven by two motors housed in an envelope of 9.00 inches diameter with less than 1.35 inches height. 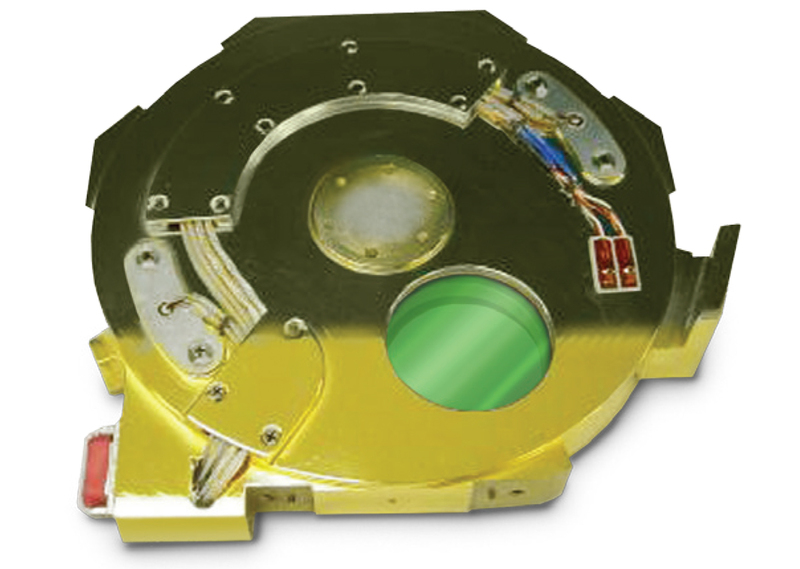 The Advanced Flight Telescope (AFT) cooled and un-cooled FWA assemblies housed six (6) optical filters with a 1.60 inch diameter clear aperture on a single disk. Both units were directly driven by a redundant motor housed in an envelope of 9.165 inches diameter with less than 1.064 inches height. 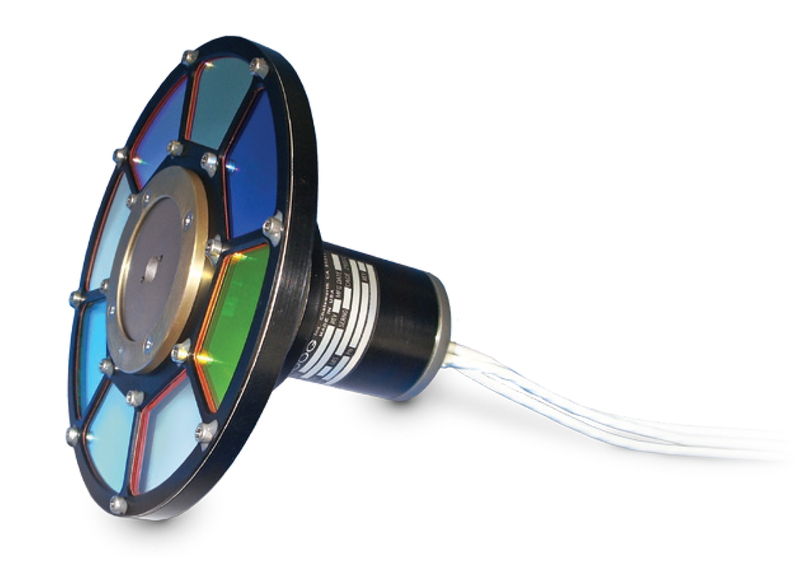 The Hayabusa filter wheel containing eight (8) optical filters is driven in the center by a Moog M8 Rotary Actuator. The actuator is a stepper motor driven mechanism with zerobacklash Harmonic Drive transmission. The output step size is 0.15 degrees and it can have a maximum slew speed of 60 degrees per second.